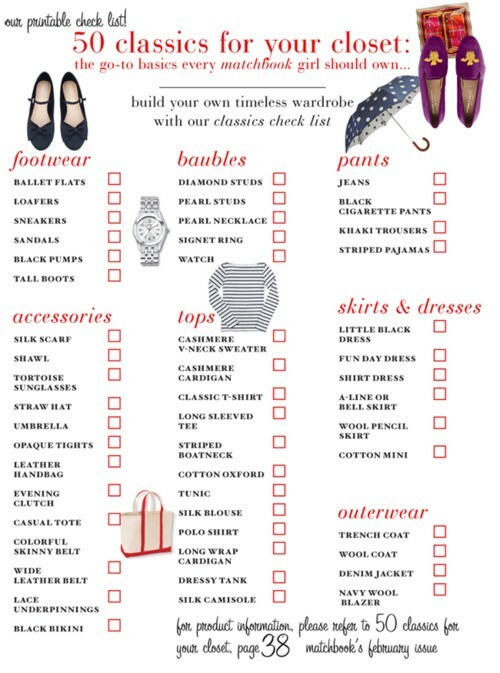 The checklist 50 Classics for Your Closet, found at Matchbookmag.tumblr.com, has been repinned (including by me!) endlessly on Pinterest, and is one of those “items you have to have” lists that I don’t really like as a whole, but often follow loosely. Just like the 10 classic items in Parisian Style that I am working on collecting! I have to say, I really like this list of “must have” footwear, and I do indeed have all of these. Plus, I think if you have at least one of each of these shoes, you will be set for almost any occasion. The only shoe I would add to this list is a heeled bootie. Not necessarily a classic, but definitely a great way of keeping your shoe wardrobe nice and current. 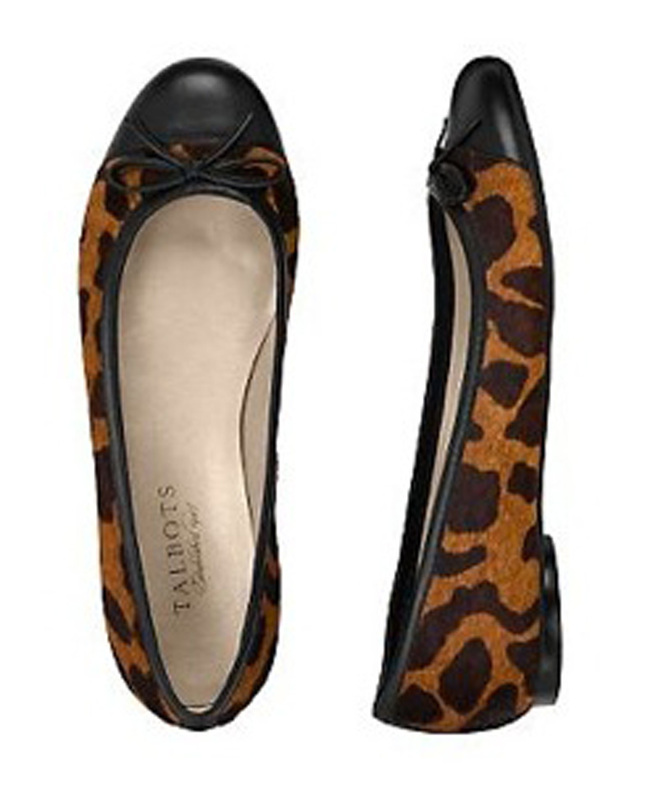 I am in love with ballet flats – they are great for mums who are running around, but they are still nice and feminine. When buying ballet flats, make sure they have some arch support. A lot have perfectly flat insoles, and after a few hours, your feet will be killing you! I love the Emma ballet flats from Lands’ End; they are reasonably priced (and are on sale now! 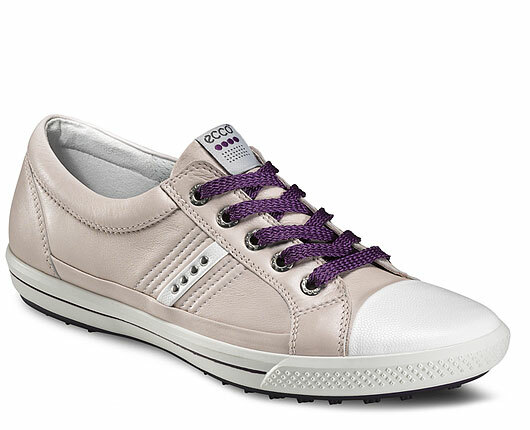 ), super comfortable and come in a range of colours and styles. I have pairs in classic black, denim and tan and these three colours go with almost my whole wardrobe. I would love to add a pair of leopard print ones, though! I think most people have a love/hate relationship with sneakers, especially when they think of the white athletic type. I want to state from the outset – white athletic sneakers are not shoes, they are sports equipment, and therefore should only be worn when engaging in sport/exercise. However, there are literally thousands of “fashion” sneakers that are a great addition to a casual wardrobe. Paired with casual pants, like jeans or cords, sneakers are a great option, especially for mums that are constantly running after young toddlers! I am not against white sneakers, but I generally prefer either black sneakers, or brightly coloured ones. Mine are from Ecco, but Puma, Adidas and numerous other brands also make some great ones. I also like the old-school tennis shoe type, like the ones by Bensimmon or Superga. What would summer be without sandals? I really believe you need two types of sandals – one for day and one for night, or at least one that can cross between both, like the metallic wedge above from Talbots. In my opinion, go cheaper with your day sandals. If you are like me, you tend to wear them at the beach, at the park, as well as your general day-to-day business, and so, they get grotty and worn out much sooner than other shoes on this list. My current day sandals are from Talbots, a simple white leather T-strap sandal with a super-summery cork insole. Black pumps make their appearance on almost every “must have” list, and there is a good reason why. A true classic, they really do go with almost everything, and if you pick a very classic piece (mid-heel, plain leather, little embellishment and almond shape toe) they will last you a long time if you look after them. Mine were a serious investment from Salvatore Ferragamo (like the ones above, but regular leather, not patent) but are still going on strong 4 years after I bought them. Shoes like this can be bought at every price point – follow the tips above, and buy the best you can afford. I wear mine with everything from casual outfits with jeans, through to skirts, and on evenings out. 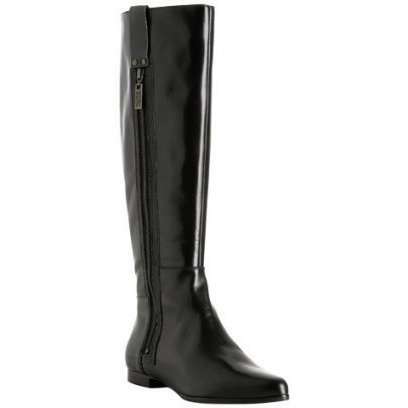 A love me a pair of tall boots, but out of the six shoes listed, these are the ones I wear the least. I think this is because they are so season specific, and here in Western Australia, our winters are just not very long. Despite that, I still have two pairs, a black flat pair, and a brown suede heeled pair. I love wearing them over the top of skinny jeans or with knee-length skirts. I also think they would look amazing with this season’s mid-length skirt, too. So there is my round-up of Matchbook’s footwear selection in the 50 Classics For Your Closet, and so far, so good. Not only do I have all of them, I wear all of them as well. Stay tuned for the second part when I will go through their accessories selection!